I am a student teacher at the University of Montevallo and graduate in May of 2019. I would like to use this blog to keep track of books that I hope to use in my future classroom. The Nonsense Show by Eric Carle has vivid illustrations of surrealism throughout the book. Birds think that it is silly for them to them fly and not swim and fish think swimming is absolutely preposterous. The text and illustrations are so quirky and fun! Upper and lower elementary grades would enjoy listen to and looking through the book. It would be great to collaborate with the art teacher and let student create their own pieces of surrealism to be displayed around the classroom. Students could write about what animals of people in their pictures would normally be doing and then what they are actually doing in the drawing or painting. Some silly lowercase letters get into some trouble when all letters from a-z climb up a coconut tree. The book has vibrant illustrations of lowercase and capital letters. 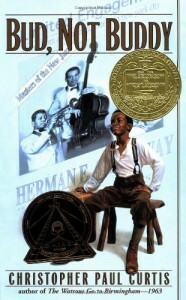 Students are encouraged to practice their recognition skills as the book is read. A fun activity for letter recognition is to have a cut out of the coconut tree and have students place the letters on the tree as the book is read. The students could also practice beginning sequencing by remembering what order the letters went up and came down from the tree. Max is a wild thing, according to his mom. After a night of mischief he is sent to bed without dinner. When Max get into his room vines began to grow all around him and he begins to sail to where the wild things live. Of course Max ends up becoming the king of the wild things and they follow his every move. It takes being king for Max to realize where he truly belongs. I love how there is not text on each page of the book. It leaves room for students to make connections and predict what Max will do next. An activity for students to do is draw pictures with captions of what the would do if they were king or queen of the wild things. The DRA reading level is 16-18. Popcorn by Frank Asch is a story about a bear cub named Sam who throws a Halloween party while his parents are out for the night. Sam invites all of his friends who end up all bringing popcorn for the other guests to snack on. The cubs decide to pop ALL of the popcorn at once and are in for a shock. Kids will think that the way the cubs decided to clean up their mess is hilarious. Popcorn is a great book for prediction activities as well a rewriting parts of the story. Teacher could encourage their students to predict/infer using information from previous information what each guest after the first on would bring as well as Sam’s special gift at the end of the book. Students could also rewrite what food is brought by each guest and how the cubs should clean up their mess. It would also be fun to have students follow a task analysis and learn how to make and serve popcorn and then eat it while listening to a video version of the text being read. The Accelerated reader reading level is 2.3. Red is Best is about a little girl, Kelly, who loves the color red. She believes that red just makes everything better. When her mom tries to get her to wear a different color the Kelley replies with reasons why her favorite color is better than any other color. My favorite red item that Kelley owns are her red barrettes, because they make her hair laugh. Red is Best has simple illustrations with very few colors in the book. I believe that the book would be best used with students who need less illustrations or colors on the page in order to comprehend the text. In a small group, the teacher could ask comprehension questions about the text and have the students provide evidence for their answers. For example, the teacher could ask, Why did Kelley like her red cup more than her green cup? The student could respond with a quote from the book as well as the page number. The Fountas and Pinnell reading level is I.
I Like Me is a book about a pig who is her own best friend. She likes the way she dances, the way she sings, and just everything else about herself. The little pig is not narcissistic, but really confident in how to be anyone but herself. I great activities for students to complete if a book about qualities they like about themselves. The activity could be broken down to separate days. One the first day, the teacher could read the book to the students and have them point out what the pig likes about herself. One the second day, the students could write out a list of qualities and characteristics they like about themselves or get help from friends if they have difficulty thinking of anything. After the students write out their list they should choose 3-5 qualities and write a sentence or more about each quality. On the last day, students should illustrate their top three to five qualities. The Lexile Measure is AD400L. Bud is a determined to find his father despite what is thrown his way. He battles foster parents and siblings, his ability to keep up a lie, as well as hunger and homelessness during the Great Depression. Bud’s mother died when he was six leaving him an orphan because his father was not apart of his life. When Bud runs away from a foster home after being locked in a shed with vampires, he sets his sights on locating his long lost father. Bud’s journey to find his father leads him to an outcome he never expected. Bud uses a map to find various routes during his journey, an activity for students to do is use a map to help Bud find his way from city to city. The students could calculate how long bud would need to travel by foot and by car. An extension to this activity is to have research the cities and find information about those cities during the Great Depression and record them in a graphic organizer. The DRA reading level is 40-50. 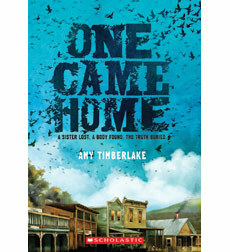 One Came Home is the story of a strong willed teenager, Georgie, who would do anything for her family. Georgie’s sister Agatha is believed to be dead when a body surfaces with a dress made by Georgie and Agatha’s mother. However, this is not enough proof for Georgie and she sets out on a journey where she battles cougars, counterfeiters, and herself. As Georgie finds more and more information that confirms Agatha’s death, she unknowingly opens up doors which some would kill for to remain closed. Activities which would complement that book would be to have students calculate the distance between to locations from which they would like to travel and creating lists of what they would need to pack if they were taking a journey similar to Georgie’s. The second activity would act a comprehension check for students to display what they understand about the setting. The accelerated reading level is 4.8. 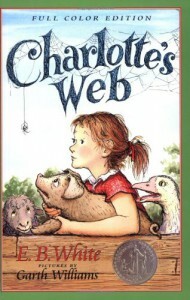 Charlotte’s Web is the story of a runt pig and his journey to stay alive. Wilbur was the smallest in his litter of piglets and seen as a waste time because of it. After her was rescued by Fern, he grew into a fine prize-winning pig. He did not do this alone though. He had the help of his barnyard friends, especially Charlotte. Charlotte was a spider who saw something special in Wilbur and believed it was unfair for him to die. She supported him up until her last breath and trusted him with her children. Although most of Charlotte’s children flew off into the wind, three stayed and lived their lives in the barnyard with Wilbur. I would love to do an activity where students had a web and wrote three qualities they admired about a classmate. The students would write the words on the web, and write the definitions of the words in their writing journal. 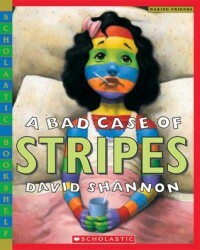 The Fountas and Pinnell reading level is R.
In A Bad Case of Stripes, a girl named Camilla loves lima beans, but does not want anyone at school to know. Her secret causes her to change into something that she is not, which leads her to stand out instead of blend in.. She ends up changing into whatever anyone around her says, even a pill. Camilla has to learn to accept herself before she can expect that of others. This is a great book to read during a lesson on character education. It would help students see that everyone has something unique about themselves that should be shared and not hidden. An activity that would grasps student’s attention is to have them become specialist who diagnose Camilla and share their findings and solutions with the class. The DRA level is 34-38. The Littel Red Hen is a classic book about about a hen and three of her friends. The hen’s friends use her to do all of the housework and yard work, while they spend their time napping and worrying about themselves. The hen makes a discovery that will benefit the entire household, but her friends still did not want to offer her any assistance. When the outcome smells delicious, her friends then want to help. 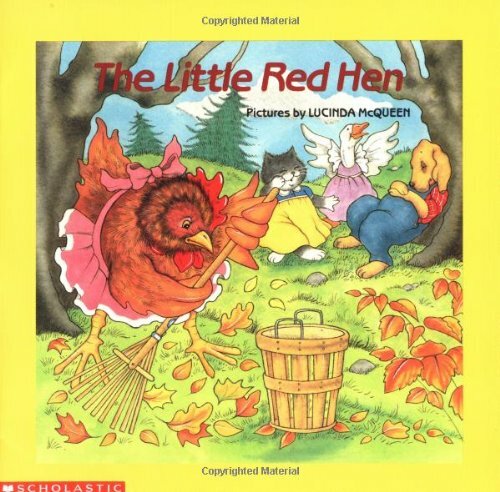 An activity for the Little Red Hen is to read an alternate version and have the students find comparative and contrasting elements in the stories. Have the students write about a comparative or contrasting element and support their finding with evidence from the two books. I did this activity with kindergartnersin small groups and they LOVED it! The Accelerated Reader level is 2.9. 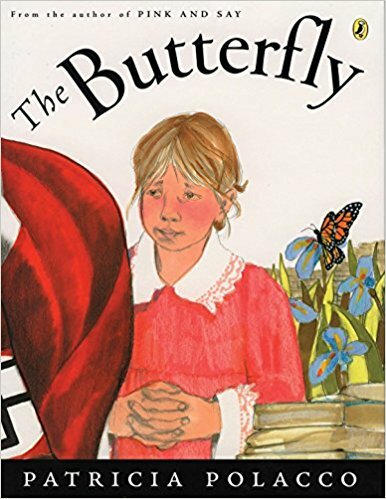 The Butterfly is fictional account of two young girls, Sevrine and Monique, during the Holocaust whose friendship came out of childhood curiosity and kindness. Monique's mother hid Sevrine and her family from the tall boots, the Nazi's, in order to help them escape the turmoil impacting their village. One night Sevrine and Monique were spotted by a neighbor leading to Sevrine's family immediately fleeing the country. Although Sevrine and Monique were afraid of losing one another, they remained hopeful in the darkest of times.I would use use this book during a Social Studies unit about the Holocaust. It would integrate nicely with an English Language Arts creative writing assignment. Students could write letters from the perspectives of Sevrine and Monique to one another. The LEXILE reading level is 430L. 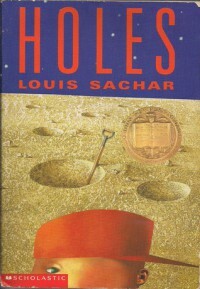 Holes is the fictional account of the life of Stanley Yelnats IV. The Yelnats family is cursed because of Stanley’s no-good-dirty-rotten-pig-stealing-great-great-grandfather. His great great grandfather broke a promise to a friend leaving him with a curse that made life hard for future generations of the Yelnats family. The curse leads Stanley to be wrongly charged for a crime he did not commit. The judge gave him two choices, either he could go to jail or go to a camp for wayward boys, Camp Green Lake. Stanley’s choice to go to Camp Green Lake instead of jail leads him on adventures of hole digging, and joy riding. This book would be great during a social studies unit about ancestry. It provides a quirky story for how Stanley’s family functions and would help students piece together stories passed down in their families. The DRA level is 50. Sid has the loudest roar of all the dinosaurs. He likes to sneak up on his friends and scare them because their reactions make him laugh. One day, Sid loses his roar and can not scare his friends like he normally does. 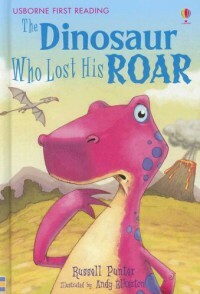 Instead of him laughing, his friends begin to laugh at him because of his squeak of a roar. Sid learns that he does not like being laughed at, so his friends must not like it either. Sid goes on a journey to rebuild his relationships with his friends, but runs into trouble doing so. I would use this book to teach character education and have the students come up with alternate ways for Sid to have fun with his friends without scaring them. I believe that students would love to act out the book. I believe acting out the story would help the students understand that just because they find something funny does not mean their friends also find it amusing. The Accelerated reading level is 1.9. Auggie Pullman goes to public school for the first time during his 5th grade year. He is just like any other kid except, he has a craniofacial disorder. At first, he was reluctant to even go to school and at one point wanted to quit, but he persevered. He made friends, lost friends, and eventually became just another kid in the hallway. 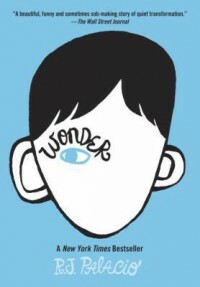 Wonder consists of different viewpoints from the people in Auggie's life as well as his view of the world. After reading this book, students should have a beginning level of understanding perspective. An activity for students to complete after or during the reading of Wonder is to find other books with a similar style. For example, a series that came to mind for me was The Babysitters Club series. After identifying similar books students could write a short story where they write from the perspective of multiple characters. 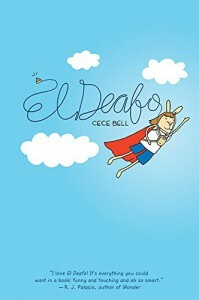 The reading level is Fountas and Pinnell level V.
Cece Bell became deaf at the age of four due to an illness. She started kindergarten at a school where all of her classmates were also deaf and then started first grade in the general education setting. CeCe made a few friends who stuck around but stood about the rest and became her sidekick. Instead of treating her disability as a crutch she begins to use it as her super power with the help of the Phonic Ear and her trusty side-kick. A writing activity for students to complete after the reading of the book is to write their own graphic novel. After learning about genres students can display their comprehension of this style of writing by following the guidelines graphic novels.